Featuring all kinds of blue animals, including: blue insects, blue fish, blue reptiles and the most fascinating, blue birds. 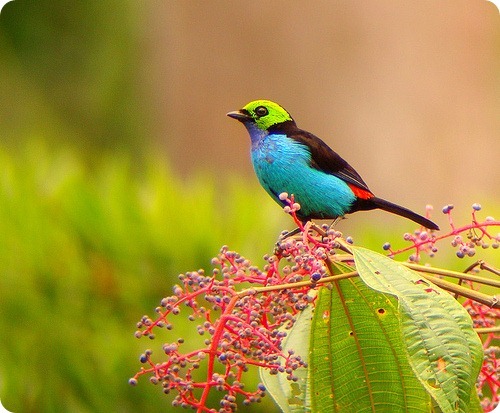 Nature thrives with bright and bold colours where flora and fauna rely on colour for different purposes. For instance plants use the lavish green for photosynthesis while the animals, such as the Gravy Zebra, use its black and white stripes as a camouflage. Colour in nature indicate seasonal changes such as the green leaves in spring turn to fiery reds and browns during autumn; it signals breeding conditions and lastly harvest time thus making it easier for farmers to harvest their crops. This statement is true whereby the far-reached colour of the sea and sky are blue in colour amongst other aspects of the natural world. In the plant and animal kingdom, the beautiful blue colour plays a multitude role where it’s used for courting during the mating season such as the cobalt of a peacock’s feather; as a camouflage like a monarch butterfly on a blue flower; or to warn others that it is dangerous for example the blue poison arrow frog from South America. To appreciate the colour blue in nature, let’s explore “A Bevy of Beautiful Blue Animals”. 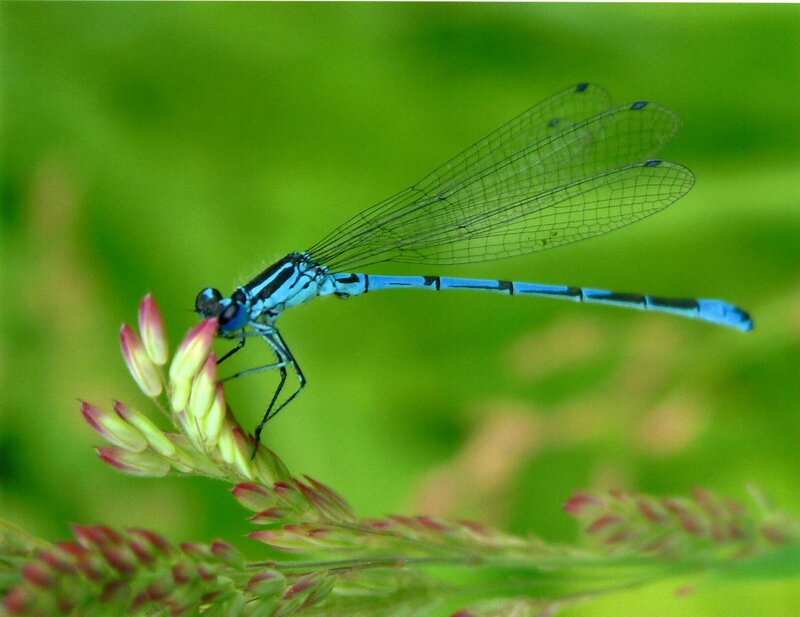 The blue Damselfly is found in most parts of Europe except Iceland. It can reach a length of 32 to 35mm. They are mostly found around large lakes.They share the blue and black colouring as most other species. Information derived from: British Dragonflies. Oil Beetles are so called as they emit oily droplets of hemolymph from their joints when bothered. 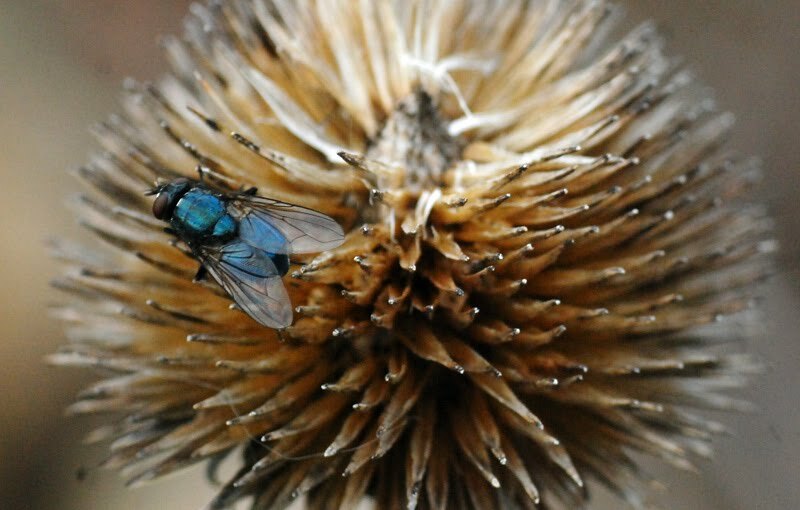 These charismatic insects can be found on country sides near footpaths. In the UK, the best time to find these beetles is in March to June. Information derived from: Buglife. 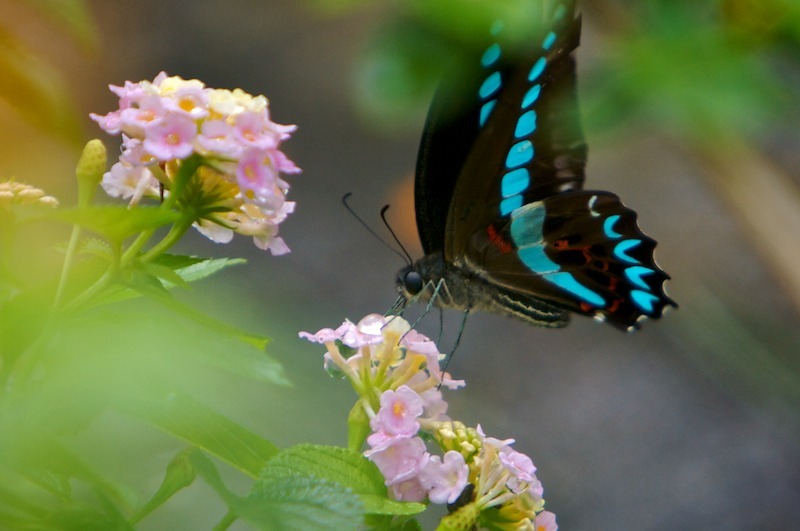 This common butterfly is found in the eastern U.S. and southeast Canada.The males are generally blue on the upper side of their wings while females are lighter blue or duller in colouring. They inhabit fields and open places which are prone to weeds. 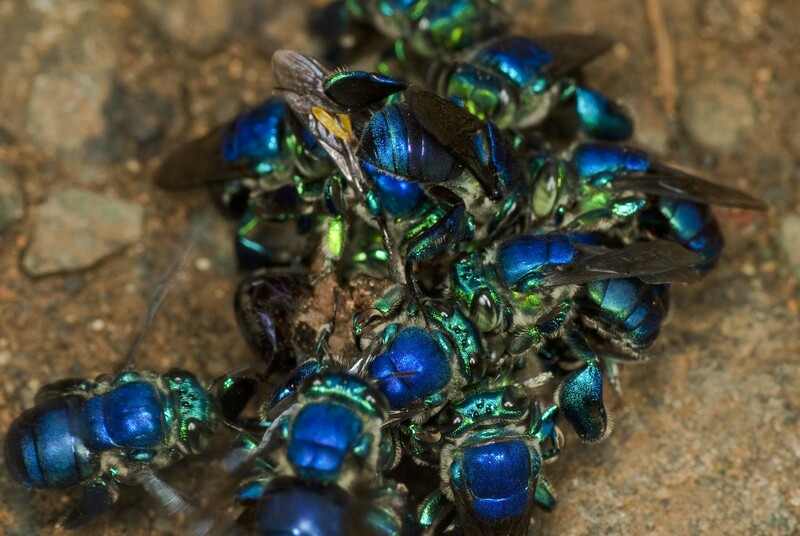 These brightly coloured tropical bees are found in the western hemisphere from northern Mexico and Argentina. These strong fliers can travel long distances of about 28 to 31 mm to find flowers. They drink nectar for energy. Their long tongues enable them to collect nectar from deep throated tropical flowers. Information derived from: Everything About. These swift insects can be found around wetlands, marshes and other water bodies as their larvae are aquatic. They are mostly predators however are preyed upon by birds, lizards, fish and spiders. Dragonflies are known to be one of the fastest insects in the world, where they can reach a maximum speed of 10–15 metres per second. Information derived from: Wikipedia. This is another angle of the same kind of blue dragonfly. 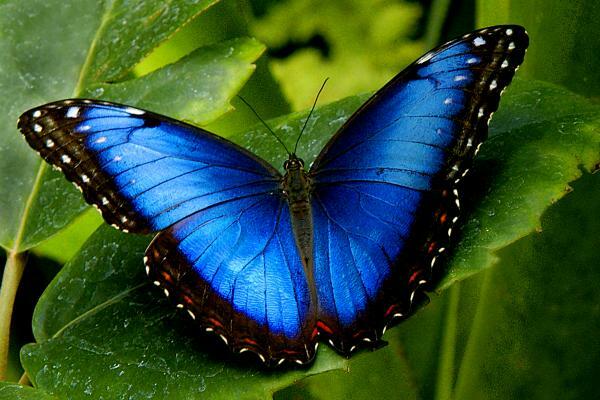 Blue morphos are one of the largest butterflies in the world. Theupperside section of their wings is blue, which reflect light. The underside of their wings is a duller colour to camouflage themselves from predators. They live in tropical forests of Latin America. While looking for mates, they will fly and live in layers as the image below. Information derived from: Rainforest Alliance. These endangered species are found in Central Europe such as Bulgaria and Romania. They inhabit lowland forests by large rivers. Information derived from: Cerambyx. Stick insects are one of the best camouflaged creatures in the world where they resemble twigs. They occur on almost every planet in the world except the Antarctic.They are one of the longest insects in the world. They can also play dead to discourage predators from preying on them. Information derived from: National Geographic and About Insects. 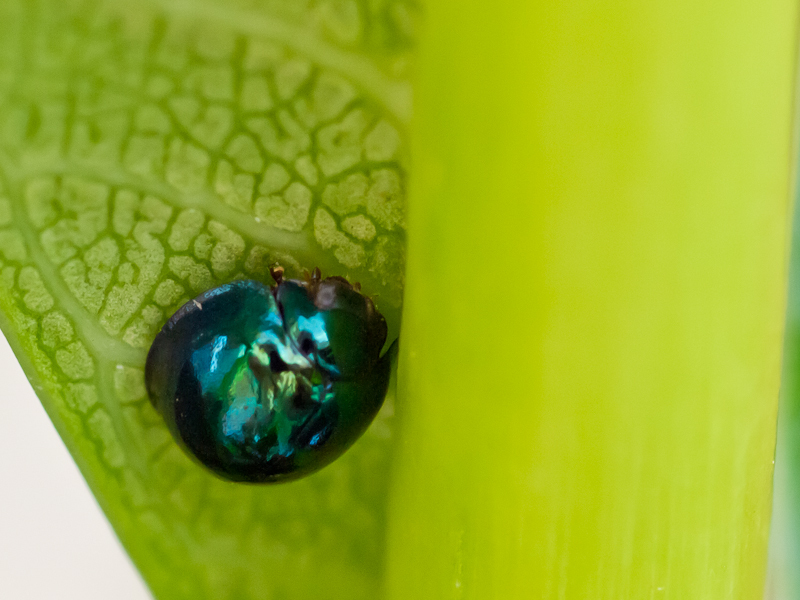 These metallic blue ladybirds are native to Eastern Australia. They are a mere 4mm in size. They feed on smaller insects such as aphids. Their outer cover protects them from being preyed upon. Information derived from: Terrain New Zealand. The amazing azure blue colour on these frogs acts a warning sign to keep predators away.These frogs are native to the tropical rainforests. They derived their name “dart frog” since the indigenous Embera people of Columbia used these toxic secretions to poison of their blowgun darts. These frogs are extremely venomous that their poison can kill 10 adult humans. Information derived from: National Geographic, Wikipedia and again Wikipedia. Also known as the Blue Tiger, these endangered species can be found in the Fujian province of China and some parts of Korea. 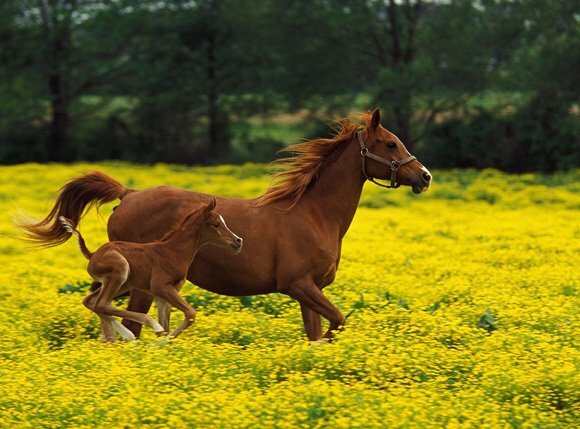 There are several theories as to why they have a colour mutation. One of the theories suggests that it could be caused “by two genes, the dilute black gene and the non-agouti gene”. Information derived from: Paws for Wildlife. 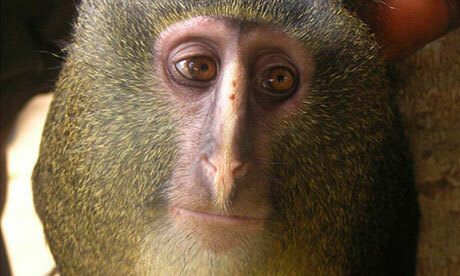 The Lesula Monkey was discovered in June 2007 in central Democratic Republic of Congo (DRC). The male is known to have larger canines and bright blue skin that covers the perineum, scrotum and buttocks. Information derived from: Scientific American and Plosone. The bluebird of paradise has one of the most stunning blue plumage in the world. The males show off their magnificent plumage by hanging upside down in trees and fanning out their wings to attract mates. They also give out a humming call. They are found in Papua New Guinea. Information derived from: BBC and Arkive. These beautiful birds are found in the American west near shrub landsand weedy pastures. An interesting fact about Lazuli Bunting is that the young males compose their own song by using a series of different syllables. The neighbouring males may copy the song thus producing a sequence of songs. Information derived from: All About Birds and What Bird. 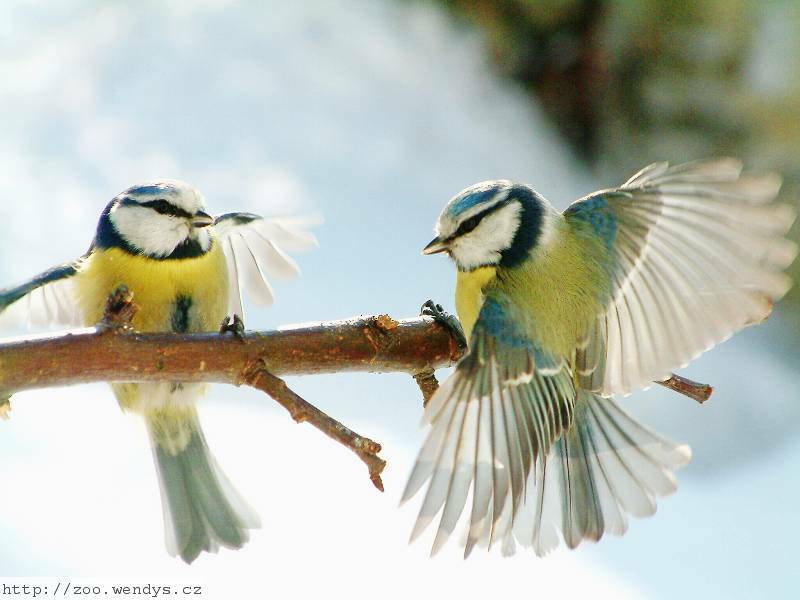 These brightly blue coloured birds are found mostly in Britain. They are known to disinfect their nests with lavender, mint and curry leaves. The males have a brighter breast in order to attract females. Information derived from: BBC and Bird Box. They are named blue-footed booby since the males are known to show off their brightly coloured feet as part of a mating ritual. They live off the western coasts of Central and South America.The word “booby” is derived from a Spanish term ‘bobo’ that means ‘clown’ because they appear clumsy on land. Information derived from: National Geographic. The gnat catcher is local to Eastern Canada and California. The males have a more prominent blue-grey colour as compared to the females who are greyer. They are known for their distinct mewing calls. Information derived from: National Geographic and Merriam Webster. There are three species of bluebirds: eastern, western and mountain bluebirds which are all found in North America. Bluebirds are family oriented, whereby sometimes a young bluebird from the first brood will remain in the nest to look after the second brood.Bluebirds are associated with hope, happiness and love thus appeared in more literature and lyrics as compared to other birds. Information derived from: Birds and Blooms and National Geographic. 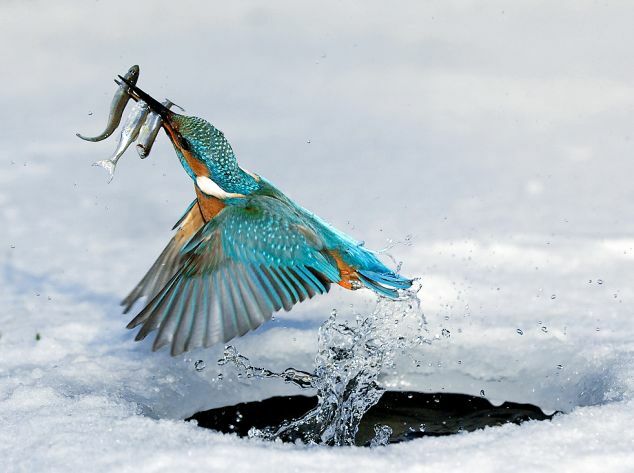 The Common or River Kingfishers are one of Britain’s most spectacular birds. The vivacious colour on their plumage is iridescence and not their pigment. 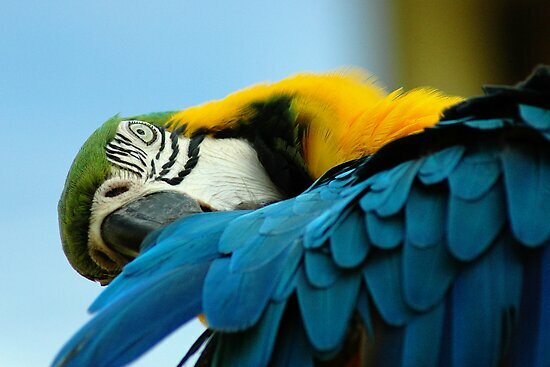 The feathers appear blue or green depending on the direction and angle at which they are viewed. Information derived from: BBC. Blue Jays have earned a reputation of being egg thieves. Their name ‘Jay’ comes from the “Jay! Jay!” call that they make. They are also known to imitate hawk calls. They are commonly found in eastern and central North America. Information derived from: BBC. These are social birds which are boisterous and gregarious. Their flight is fast and direct and they walk and run in confidence while on the ground. They are occur in most parts of Southern England and can be seen almost all year round. Information derived from: RSPB. The Superb Starling is commonly found in East Africa. They are known to make long and loud sounds depending on the time of the day. They are generally friendly and undaunted of humans. Information derived from: Wikipedia. 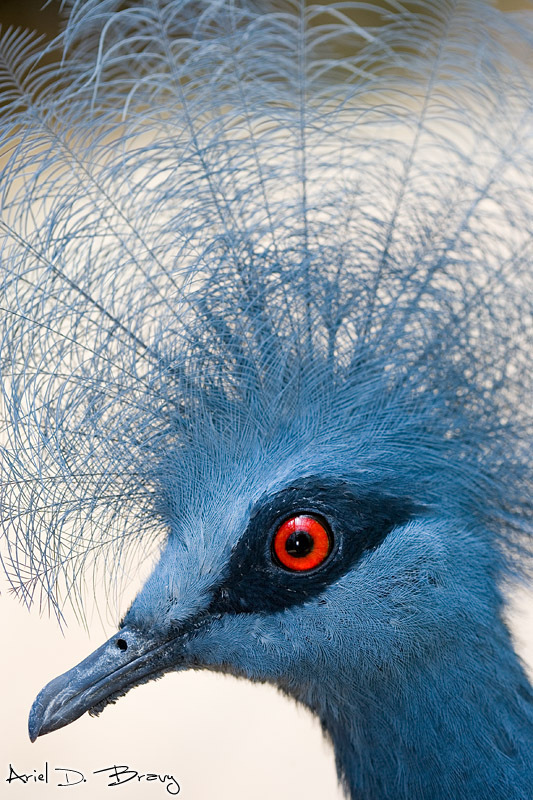 Ranked as one of the most handsome pigeons in the world, the Victoria Crown Pigeonis easily distinguished by the remarkable crown of lacy feathers on their heads. They have the unusual ability to produce milk for their nestlings in their first few days. They are found on the isles of New Guinea. Information derived from: Arkive. These magnificent parrots are not only intelligent and beautiful, but also one of the most popular of the large parrot species. They originate from South America. They are popular as pets as they are sociable, have the ability to talk, are easy to train and have a strong bonding to humans. Information derived from: Bird Tricks and About Birds. Blue parakeets have small bodies and long tail feathers. They have the ability to learn how to talk especially from women. They can therefore imitate the pitch of their voices more easily. They make great companions by creating a friendly and stress-free atmosphere. They can live to about 15 years of age. Information derived from: Bird Tricks. 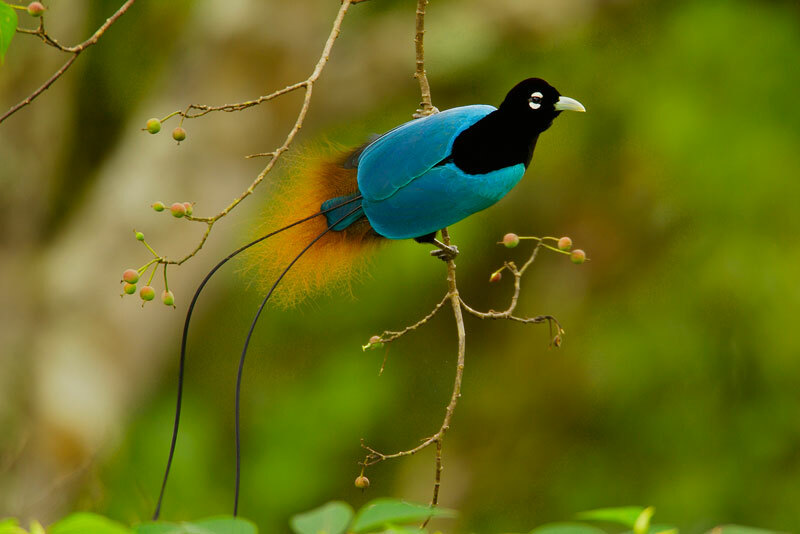 These beauties are found in humid subtropical rainforests in the western and northern Amazon Basin in South America. They are quite common therefore not under any threat. Information derived from: Wikipedia. 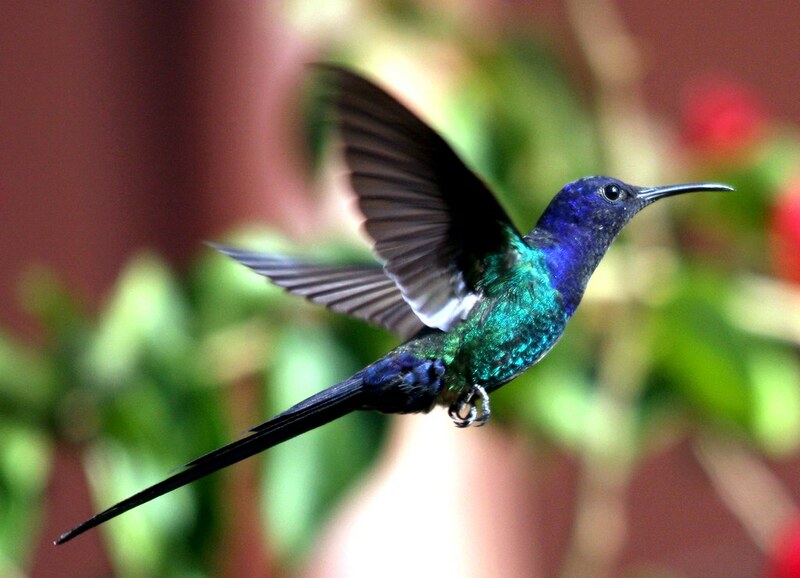 Swallow-tailed Hummingbirds are found mainly in east-central South America. They are one of the prettiest and largest of the hummingbirds. Their plumage varies from ultramarine to deep royal blue. Unlike other birds, they mate all year long. Information derived from: Humming Worlds and Wikipedia. Peacocks are known for their iridescent tails. To court females, the males show off their spectacular fans. They also use their fans as a defence mechanism. The blue peacock lives in Pakistan, India and Sri Lanka. Information derived from: A-Z Animals. The Blue Jellyfish is also known as Portuguese Man of War. This beautiful sea creature is carnivorous that feeds on smaller fish. They use their venom to paralyse their victims as well as a defence mechanism. A beautiful but dangerous creature! Information derived from: Jellyfish Facts. This elegant creature gets its name “ribbon eel” as it resembles a long ribbon. It can grow up to 1.5.m long.They can be found in lagoon and seaweed reefs. This curious animal not only changes colour but can also change its gender when growing up. Information derived from: Wakatobi and EOL. The whale shark is one of largest extant fish species. These gentle giants scoop plankton and small fish while swimming with its mouth wide open. Their preferences are warm water and migrate to West Coast of Australia every spring. They are an endangered species especially in the Philippines. Information derived from: National Geographic and Wikipedia. These are small creatures which feed on starfish. They locate the starfish through a scent. Their bright colour warns potential predators. They are known to have a foul taste and dangerous to eat due to the toxins derived from their prey. They live in coral reefs in the Indo-Pacific. Information derived from: BBC. Starfish are not really fish as their name suggests however are echinoderms which mean that they have five sections in their body plan. They have armour to protect their body. They have the ability to regenerate with or without the central body in some cases.These beautiful sea animals live underwater and are purely marine animals. Information derived from: About Marine Life and National Geographic. A toadfish croaks like a toad however resembles the seafloor surroundings. They use this camouflage to catch its prey. This fish has a high level of ammonia and is thought to help produce medical treatments for human ailments such as stroke and brain injury. Information derived from: National Geographic Ocean. A blue spotted stingray is generally found in Indonesia and Japan. They are found near rocky coral reefs. They prey on small fish and molluscs. The bright coloration acts as a warning for its poisonous spines. Information derived from: Wikipedia. The Blue Whale is the world’s largest animal. Its tongue alone can weigh as much as an elephant. They look true blue underwater however outside water, they look blue-grey. 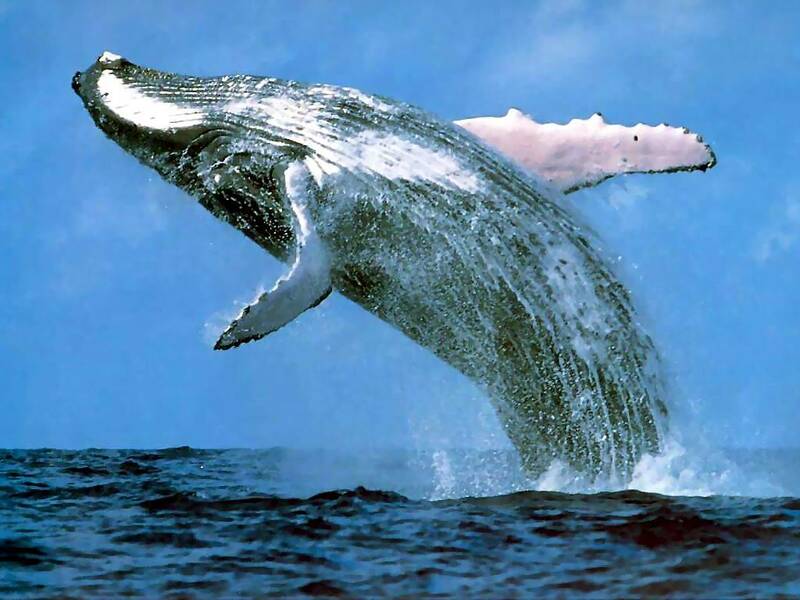 Blue whales live on all the world’s oceans. They are also one of the loudest creatures on the planet. Information derived from: National Geographic. Here is a variety of tropical blue fish. Enjoy the beauties. Regal Tang is a saltwater tropical fish. They are common throughout the Great Barrier Reef of Australia. They use their beak-like to consume zooplankton. They became famous after the animation “Finding Nemo“. Information derived from: Saltwater. They are also known as Indo-Chinese Forest Lizard. The males’ crest is more exaggerated than the females’. 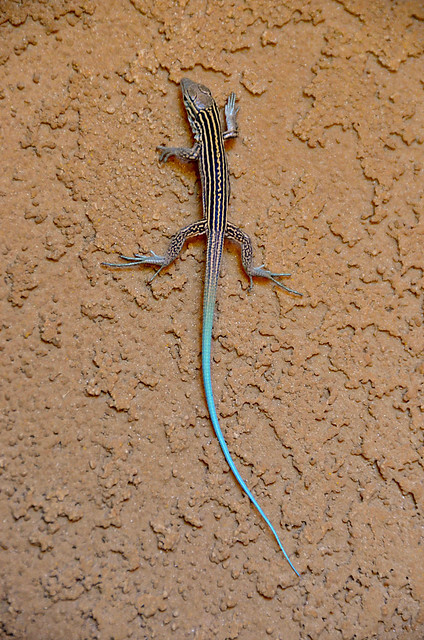 The blue colour is not the only feature that a blue crested lizard uses to attract its mate. An interesting courting ritual which the males perform is that they puff out their throat and make bowing movements to attract the females. The females will do the similar jerking movements and the breeding begins. Information derived from: Bangkokherps. These are commonly found on Australia’s Christmas Island. A strange feature that they have is that they have the ability to pop their tail off when faced with dangerous situations. This will help to distract the predators while they escape. Males lose their blue colouring when they get older however females retain them. Information derived from: Wikipedia. These beauties are one of the most endangered lizards on Earth that are found on the Grand Cayman Island. An interesting fact about the blue iguana is that they turn from a blue-grey complexion into a magnificent azure blue during the mating season or when excited. Information derived from: Arkive. The Blue Veiled Chameleons are one of the most gorgeous chameleon species whereby the adults show a combination of stripes and spots in different shades. They are easy to identify with a large “helmet” on their heads. These chameleons are found in the Middle East especially in Saudi Arabia and Yemen. 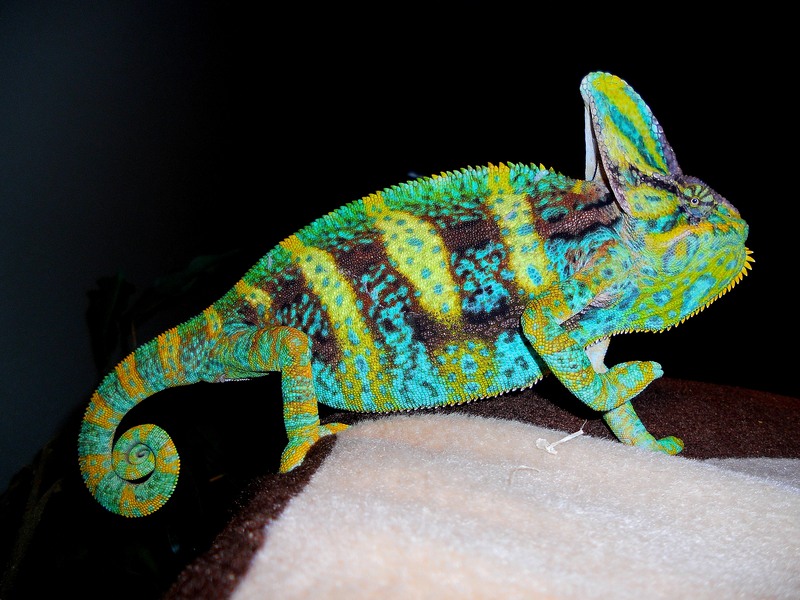 Information derived from: Veiled Chameleon Care Sheet. The Electric Blue Gecko is also known as William’s Dwarf Gecko which is native to Tanzania. 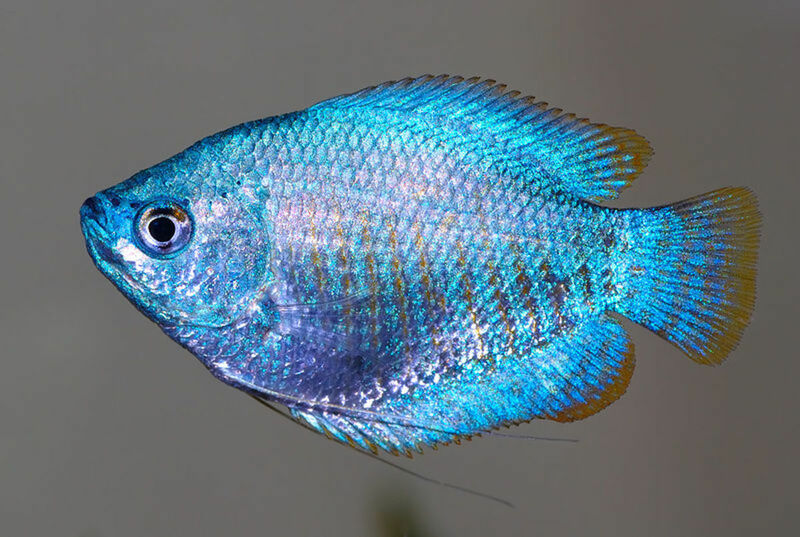 Their colours change to according to the temperature and mood whereby the males’ colour ranges from black, when stressed, to brilliant electric blue, when happy or excited. Information derived from: Reptile Forums and Wikipedia. The Blue Malaysian Snake is most active at night and is extremely venomous. It is found in countries such as Thailand and Singapore. Information derived from: Wikipedia. Originally found in North America, the Blue Collared lizards derive their name from the collar-like blackbands around their necks. These beautiful lizards change their colour according to the season, hormonal changes, temperatures and light intensity.They are known to be ‘one of the brightest coloured lizards in the world’. Information derived from: Britannica and Buzzle. I hope you like my effort. Please comment because I need your feedback.